It was my intention to write and post an article about Pope Francis I Today, the 2nd article on the evolving Papacy. The Papacy and the Vatican Curia is the oldest continuing, functioning government on earth, having mutated from the power structure of the Emperor gods of Rome to the Pope of Rome with the turn of a page in history. The power structure of the Papacy was the mold and model for the power structures of the kings of Europe, and by extension, to the Americas, and the larger secular world beyond, these last 1500 years. Anyone having eyes wide open will see and understand, those power structures are being shaken to their very foundations these days. The traditional levers of power no longer work as they have in the past for the “kings of the earth,” Bible language for The 1%, Presidents, Prime Ministers, CEOs, and other IDOLS of the People these days. That project has been preempted by the unfolding events in Jerusalem and in particular, this article that appeared in Israel’s Haaretz on line newspaper Today. I start my Day reading Israeli news media, The Jerusalem Post and Haaretz, because that’s where Armageddon the place is located, and where it starts, leading to Armageddon and that Battle of The Great Day of God Almighty. Even the secular, non religious people know and understand the implications in that word. WWI was supposed to be the War that ended all Wars, but the Signs of the Times are pointing to humanity just arriving at the threshold of that possibility with WWIII-Armageddon in the developing stages in Syria. Armageddon was derived from Har Megiddo located in occupied Judea and Samaria in Roman Palestine 2000 years ago. Israel did not exist as a kingdom then, having disappeared some 800 years earlier. Har Megiddo-Armageddon still exists as a physical place, but now it is located in temporal Israel recreated from the Bible after an absence of some 2800 years. It should be a wonder to thinking people to consider that after 2000 years, the most explosive issue confronting humankind these days is still over the occupation of Judea and Samaria in Palestine. 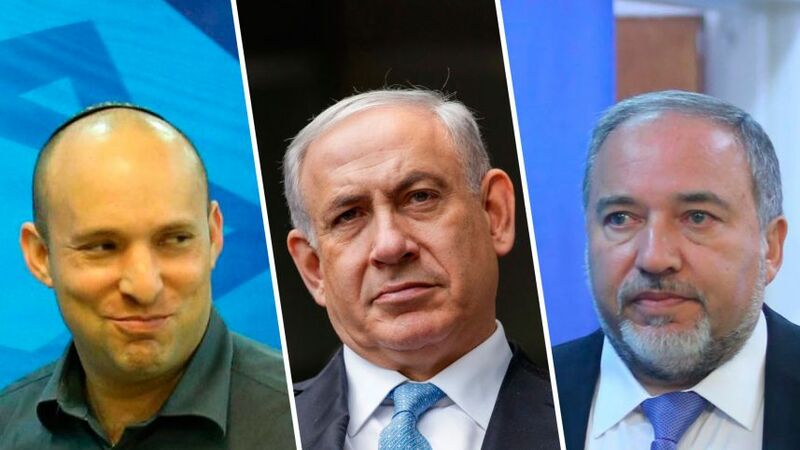 Israeli public apathy to the Netanyahu government’s provocations in Al-Aqsa and incitement against the Palestinians cannot be explained without understanding the role of the Labor Party in falling in line. When my father wanted to explain to me how close the Revisionist right wing was to fascism, he went as far as the example he saw in Italy during his service in the British Army: In one of the towns in Calabria, he came to a square with an ancient and magnificent historical appearance, but behind the facades of the buildings there was nothing – empty stone scenery built during the time of Mussolini. According to this explanation, the Palestinian knives, which killed and wounded Israelis over the past two weeks, are a successful replacement for the missiles that would have landed on us if Netanyahu had gone to war against Iran. That is why we must give praise: The knife panic accompanied by a trombone is better than a missile panic accompanied by sirens. And even if Netanyahu is truly panicking, we must glorify: If he has started a war, and instead of knives Shahab missiles were landing here, with what weapons would the incited and panicked citizens have been equipped? And if he is really immersed in a state of panic, it would be proper to calm him: As prime minister you have never done anything, nothing, except for political maneuvering; but the people are united, including Yair Lapid, no one has risen up against you, not during the time of the “social protests” not during Operation Protective Edge, and not even the dozens of Israeli dead in the operation gave birth to peace and refusal movements in the style of the 1980s. All around the carnival of executions celebrates. “Neutralizing” it is called by the press, who participate in producing the panic. Do you see? A little blood, and the media is already no longer against you, Netanyahu. The opposite is true: A sort of huge chameleon reddens with the first blood that is spilled in the streets, and will not rest until it turns into a flood, a reality production without any investment, with advertisements. The journalists themselves have lost all shame. After all, no one will remind them of their leading the herd. The national memory has shrunk: From the 2,000-year-old memory of the Temple to the two-day memory of Facebook. Relax, Barack Obama did not even mention Palestine in his speech at the United Nations General Assembly, the administration will send weapons and you will be able to open a heroic war against the refugee camps. Once again the trombone will incite the terror and the eternity of Israel; planes will defeat the stones, bottles and knives; and demonstrators along the fence in Gaza will be shot like dogs, until the fire is really kindled. And then you will pass out medals and speeches. A united, courageous nation is behind you. There is no opposition, Netanyahu. Look at contemporary poetry and literature and be convinced: As with you, only the desire to be seen as successful rules them. Compare the number of demonstrators on behalf of animals with the number of Hadash and Meretz demonstrators last weekend, make yourself comfortable and listen to the spokesmen of the Labor Party, who accompany the flames. It is impossible to explain the public apathy to your government’s provocations in Al-Aqsa, and your incitement against the Palestinians, without understanding the role of the Labor Party in falling in line behind you. Its spokesmen are trying to copy your trombone using a flute. A flute that wants to be a tuba, and will vanish like a fart. Many streets will be named after you, Netanyahu, and parks, and centers for disabled veterans, but your achievements will amount only to Youtube clips of speeches at the United Nations, with unrivaled smooth talk. If only you stuttered a little, and thought about the horror that will befall the greater land of yours and your settlers. The article above is written by a Jew living in Israel. Not all Jews in Israel are Zionists. O Jerusalem, Jerusalem, you that kills the prophets, and stones them which are sent to you, how often would I have gathered your children together, even as a hen gathers her chickens under her wings, and you would not! For I say unto you, You shall not see me henceforth, till you shall say, Blessed is he that comes in the name of the Lord. The woman said to him, Sir, I perceive that you are a prophet. Jesus said to her, Woman, believe me, the hour comes, when you shall neither in this mountain, nor yet at Jerusalem, worship the Father. But the hour comes, and NOW IS, when the True worshipers shall worship the Father in Spirit and in Truth: for the Father seeks such to worship him.